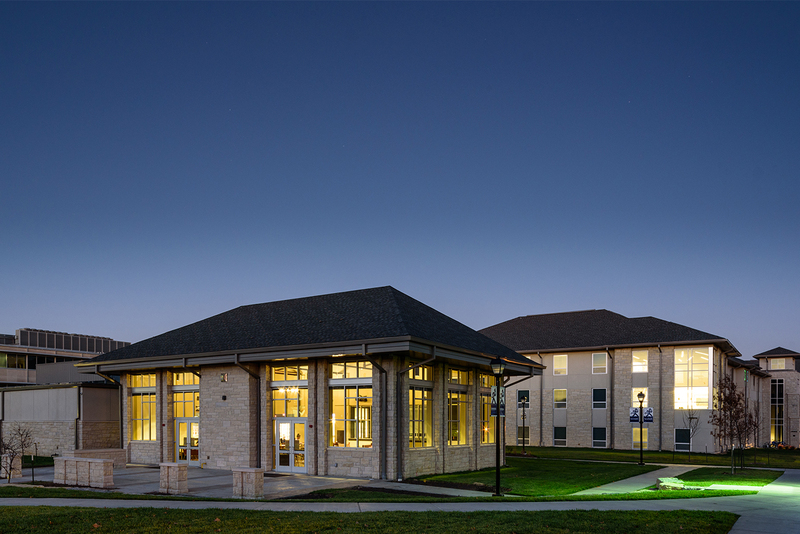 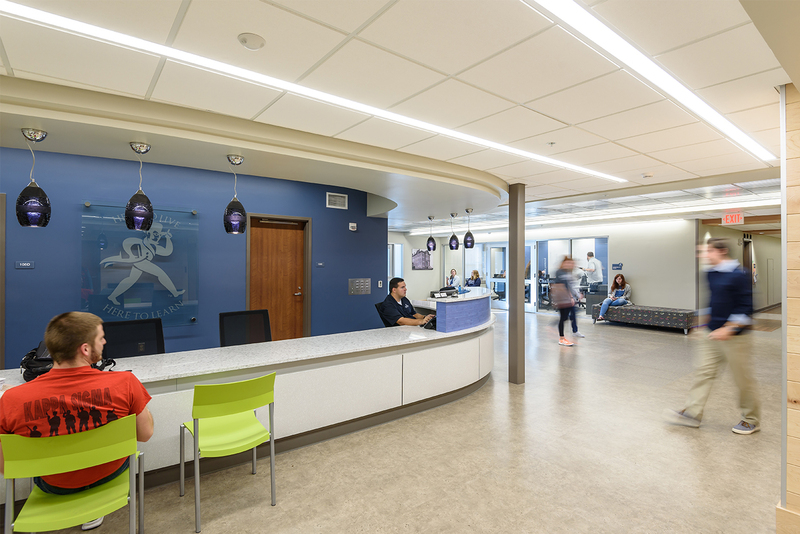 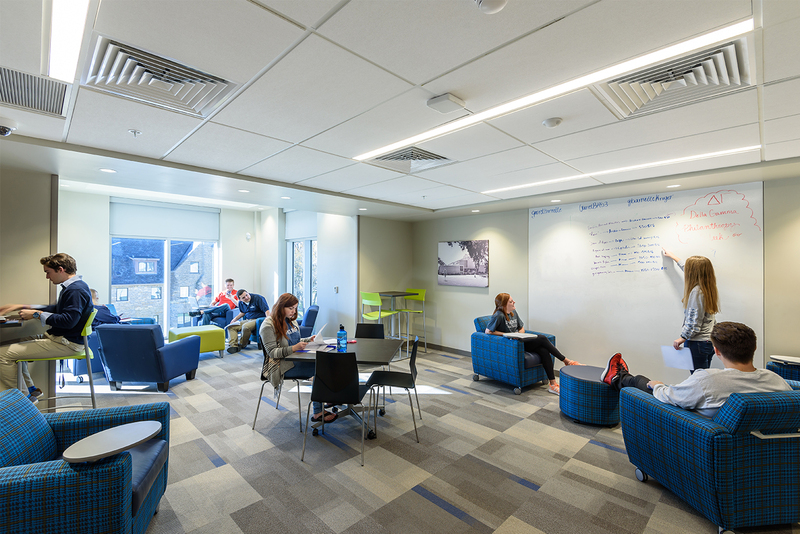 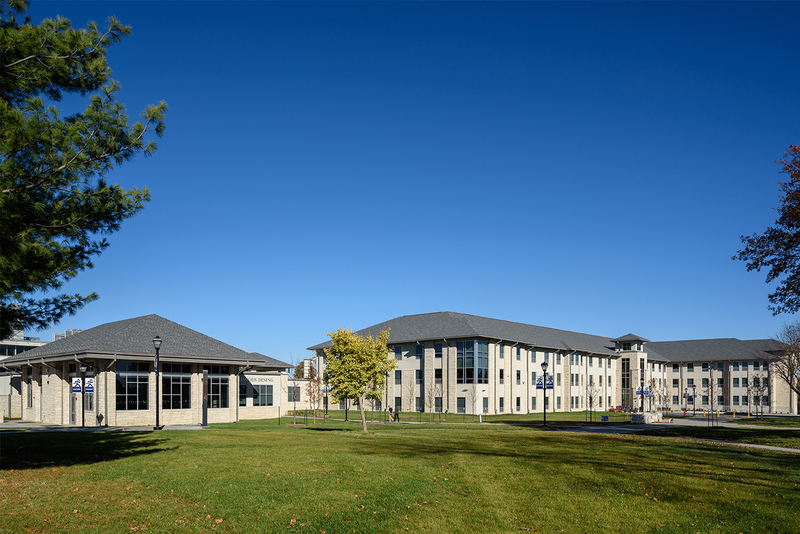 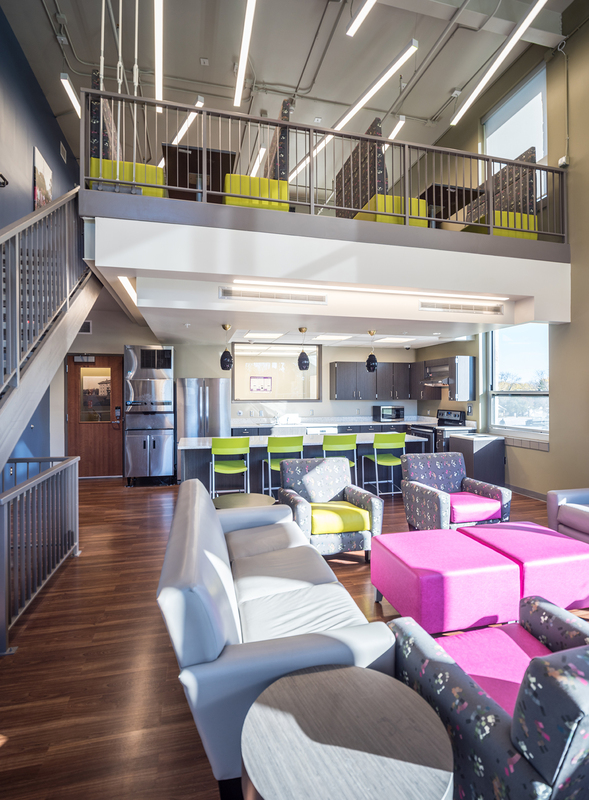 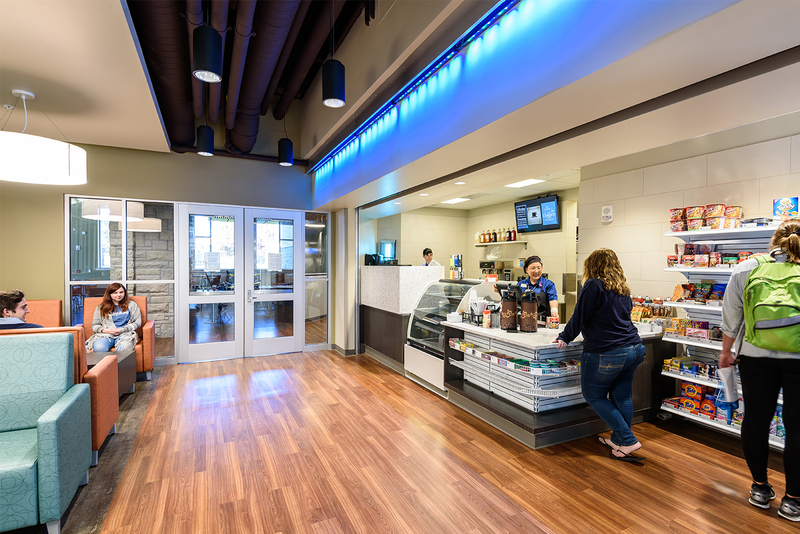 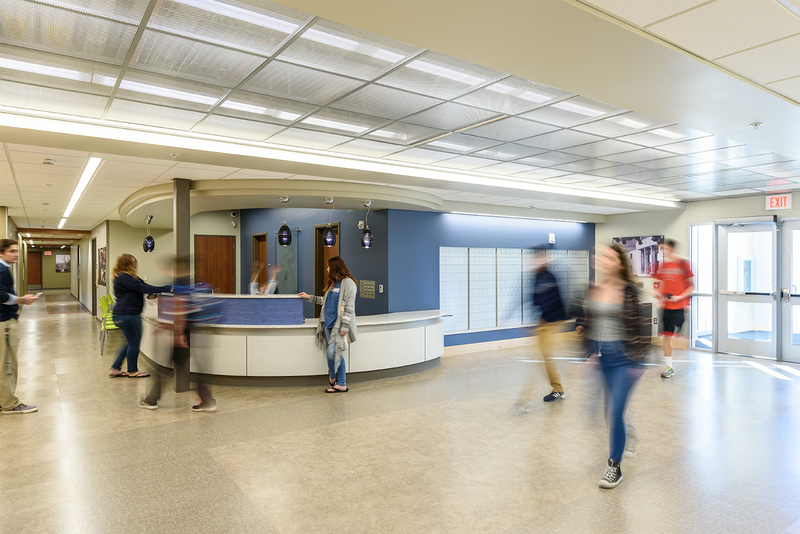 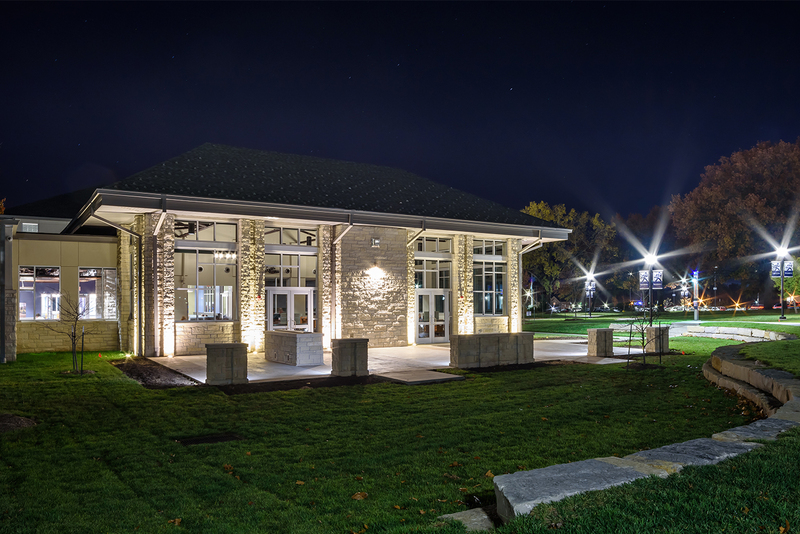 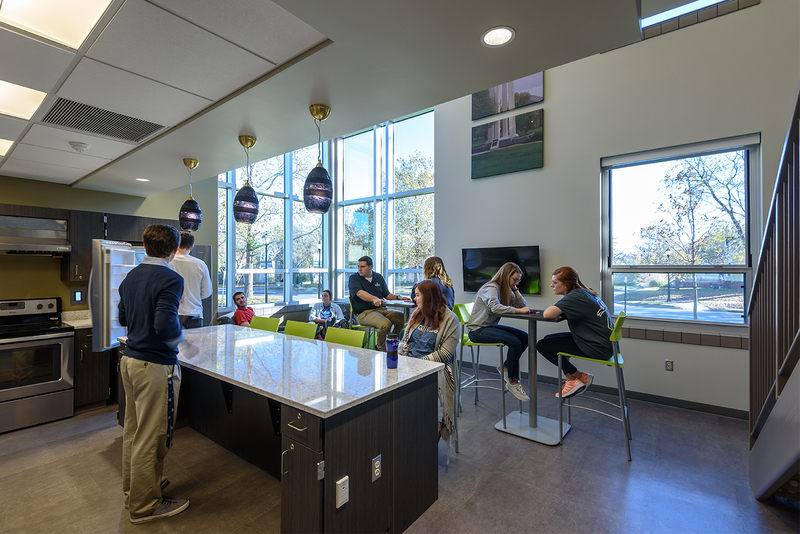 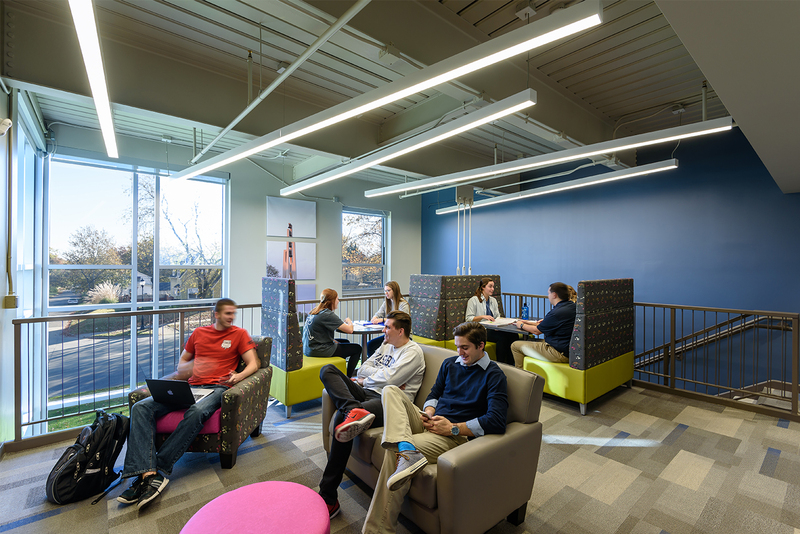 Following direction from the Campus Master Plan issued on July 2013 and the Student Housing Demand and Financial Analysis Study from May 2014, the design group for the Washburn University Student Housing & Dining Facility was directed to provide design services for one residence hall and one dining hall. 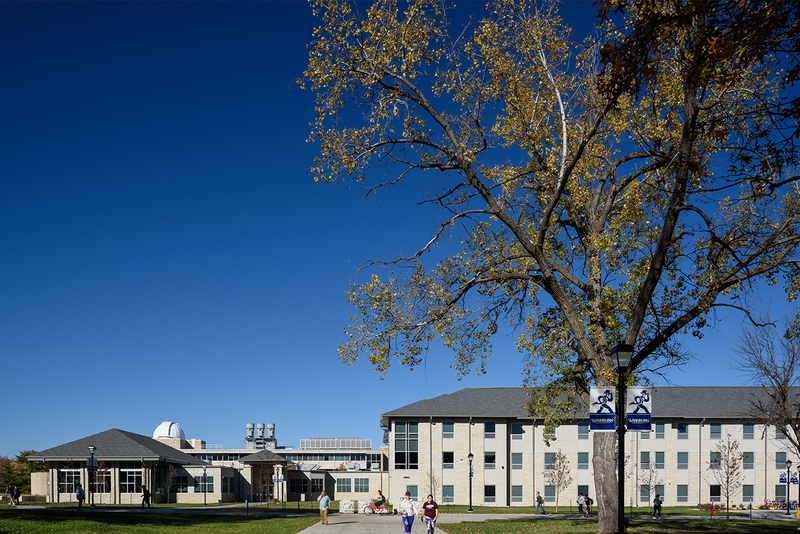 The project will be located on the north side of the campus, adjacent to Washburn Avenue and 18th street. 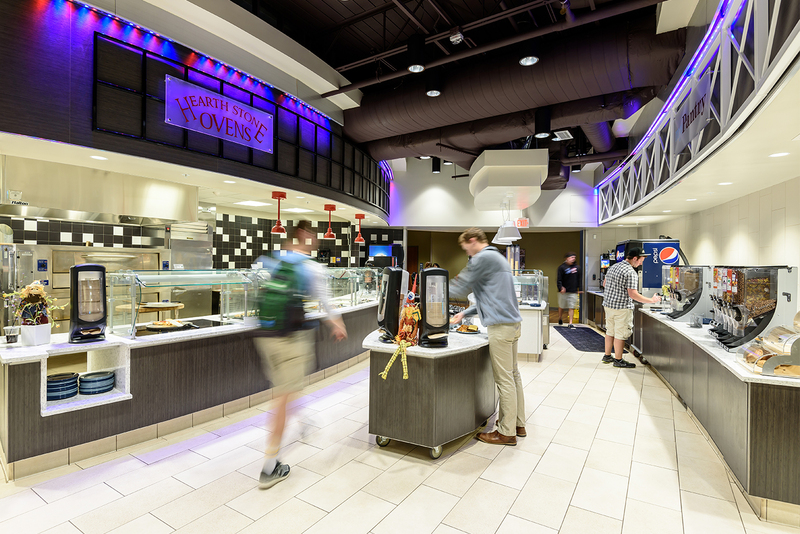 The axis of the dining room will coincide with the center line of the Great Lawn described in the Campus Master Plan. 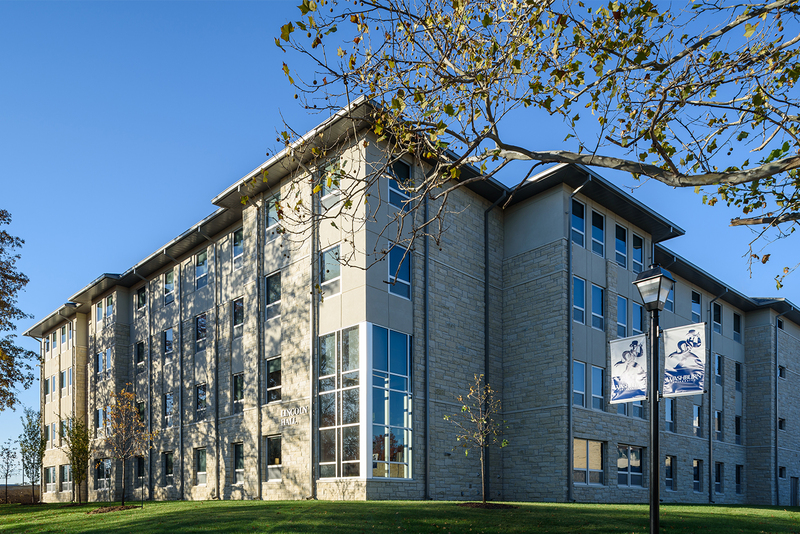 The Demand Study calls for a 358 bed residence hall (including 8 Residence Advisors) for a total area of 94,907 SF in a mix of suites and semi-suites rooms. 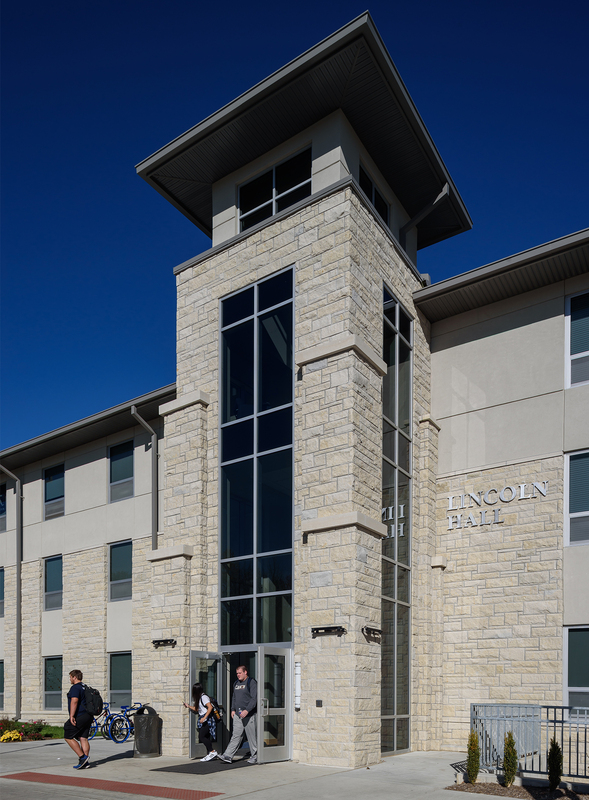 The current design includes 339 revenue beds plus seven residence advisors, one 2 bed RD apartment and two 2 bed visiting faculty apartments in a 96,367 SF building (including 1,770 SF for storm shelter). 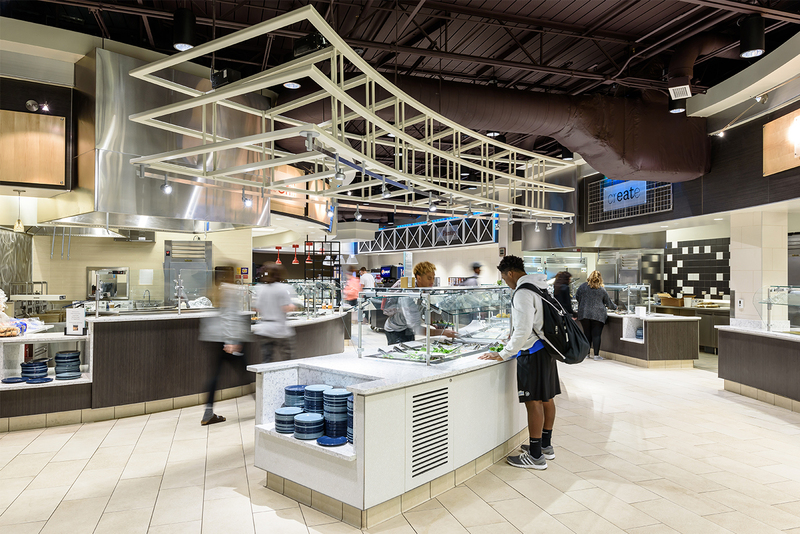 The Dining Hall demand study asks for a 15,100 SF facility to provide dining for 305 students. 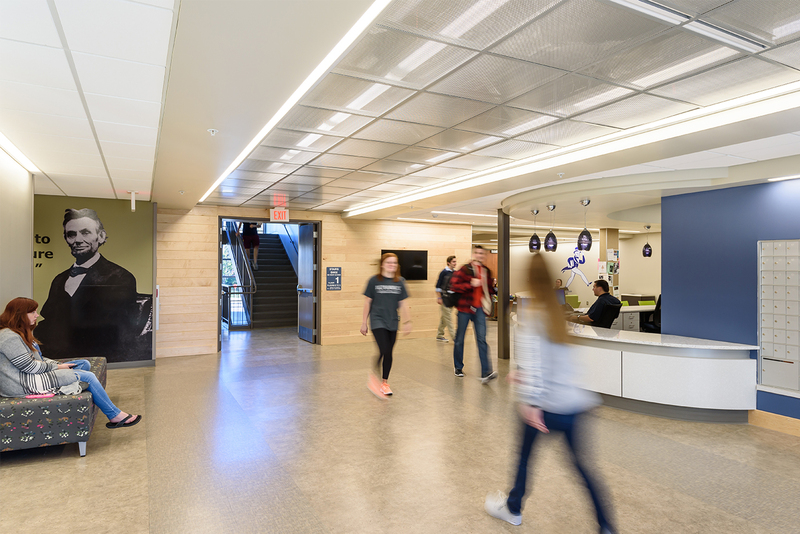 The current design of 17,462 SF seats 305 students, including a mechanical room for the two buildings of 1,430 SF.